Lifetime announced an early second season order for You prior to the dramatic thriller’s season one premiere on September 9, 2018. However, the series’ 10 episode first season didn’t generate the anticipated ratings for the cable network. That, combined with Lifetime’s shift away from original series, factored into the decision not to move forward with a second season. Fortunately for fans of the Dexter-ish thriller, You‘s run isn’t over after just a single season. It was just announced You will make the leap to Netflix for its upcoming second season. Netflix already had a deal in place for the show and had planned a December 26, 2018 premiere of season one on the streaming service. Season two, which will now be a Netflix global original, doesn’t have a confirmed premiere date. You is based on the novel by Caroline Kepnes and was developed for TV by Gamble and Berlanti. They serve as executive producers along with Sarah Schechter, Leslie Morgenstein, Gina Girolamo, and Marcos Siega. 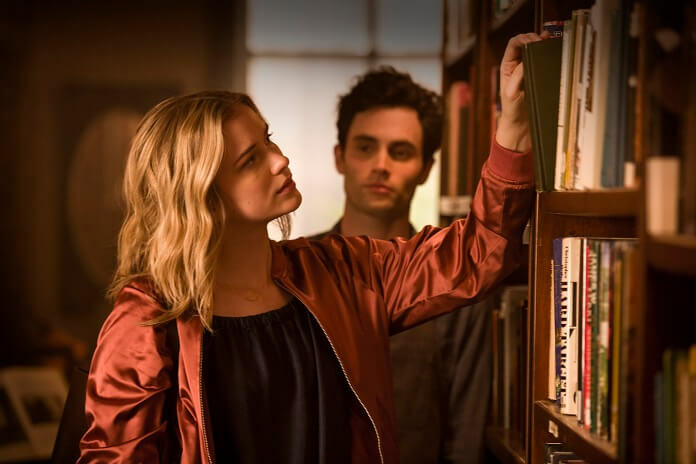 Season one starred Penn Badgley as Joe Goldberg, Elizabeth Lail as Guinevere Beck, and Luca Padovan as Paco. Zach Cherry played Ethan, Shay Mitchell was Peach Salinger, Nicole Kang played Lynn, and John Stamos appeared as a special guest.